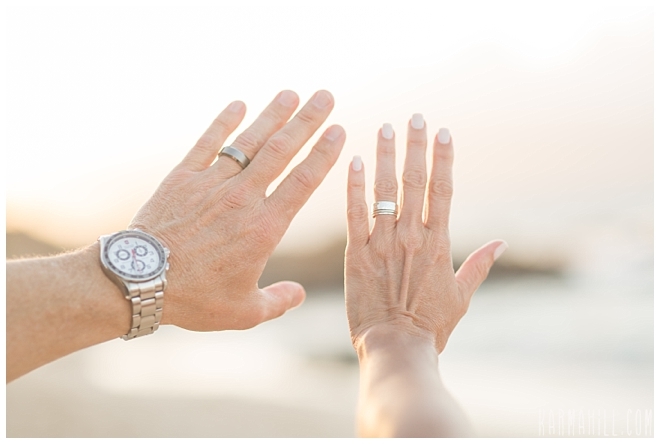 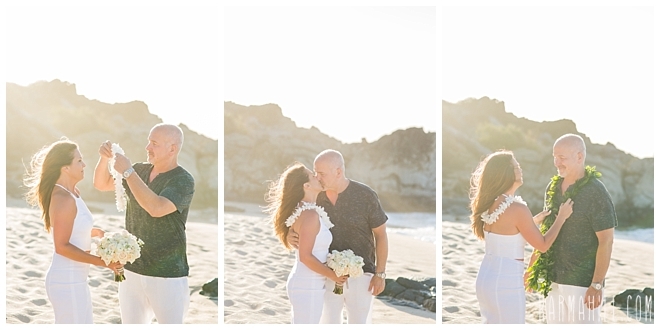 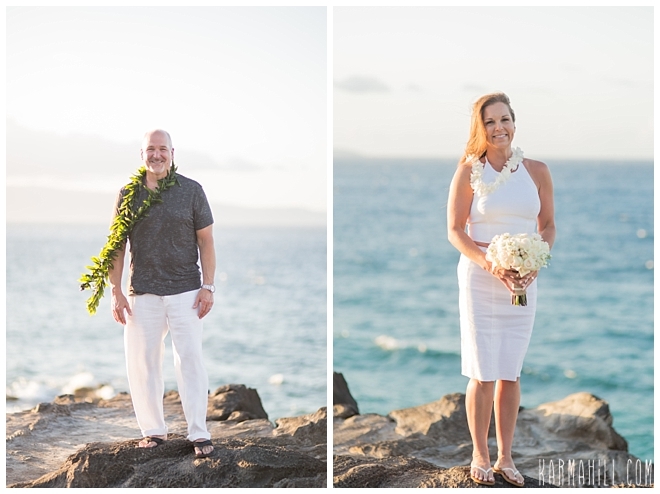 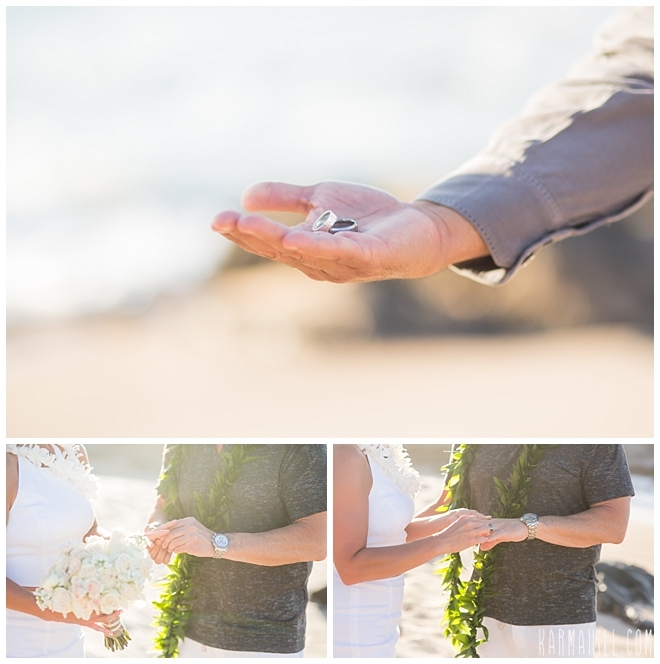 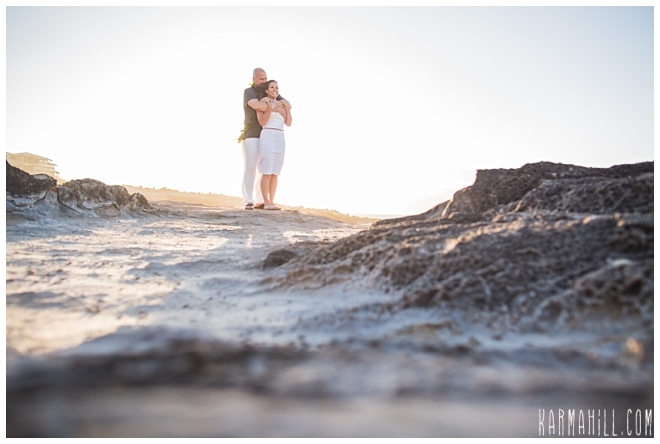 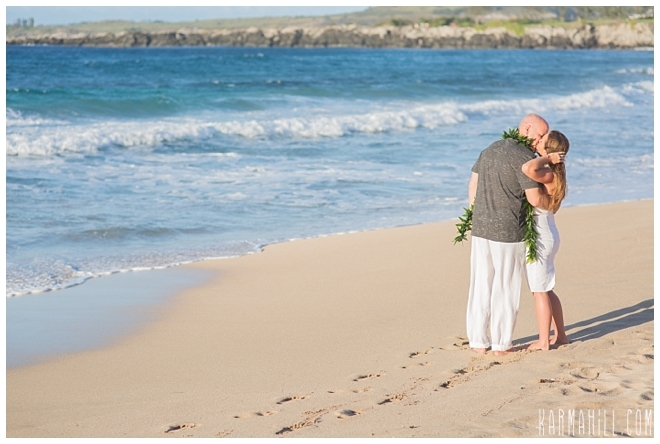 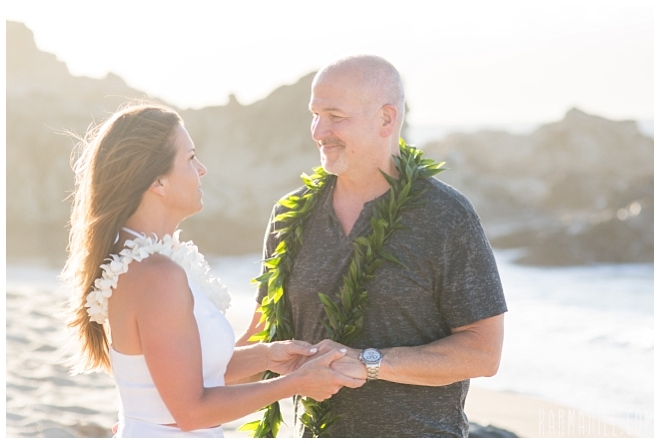 Michelle & Jerry's Maui Elopement! 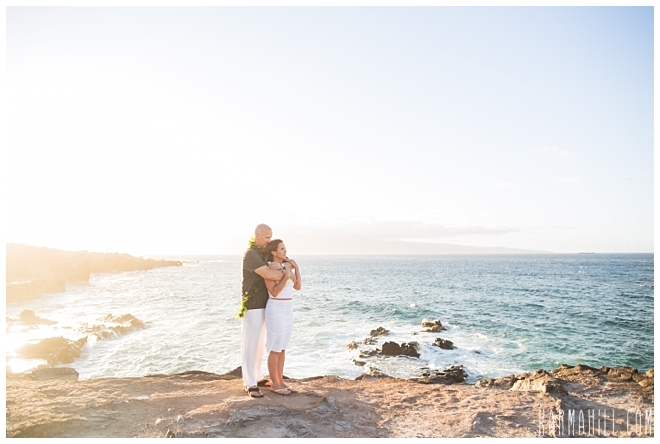 Jerry & Michelle escaped to Maui for their special Maui elopement and we're so happy the chose us to be a part of it. 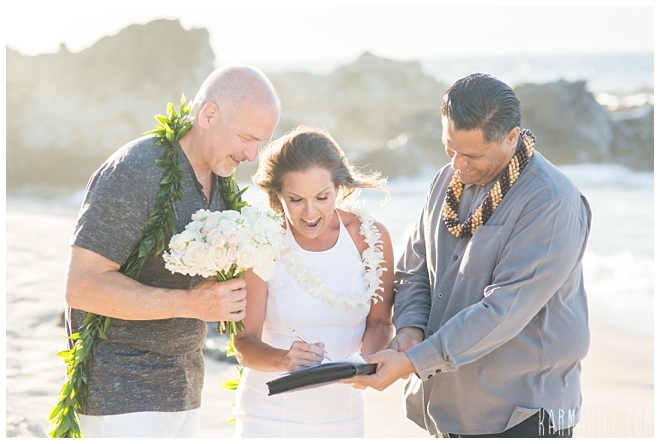 It started out with Jerry trying to surprise his beautiful bride with a Maui wedding but he ended up having to tell her during the planning process. 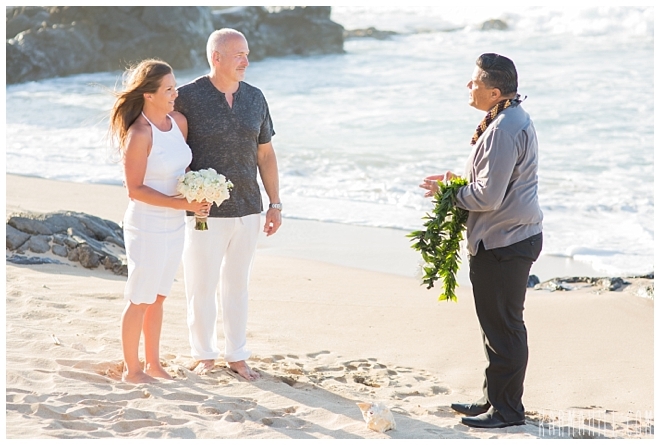 It was still a very special surprise and they were just so ecstatic to be there. 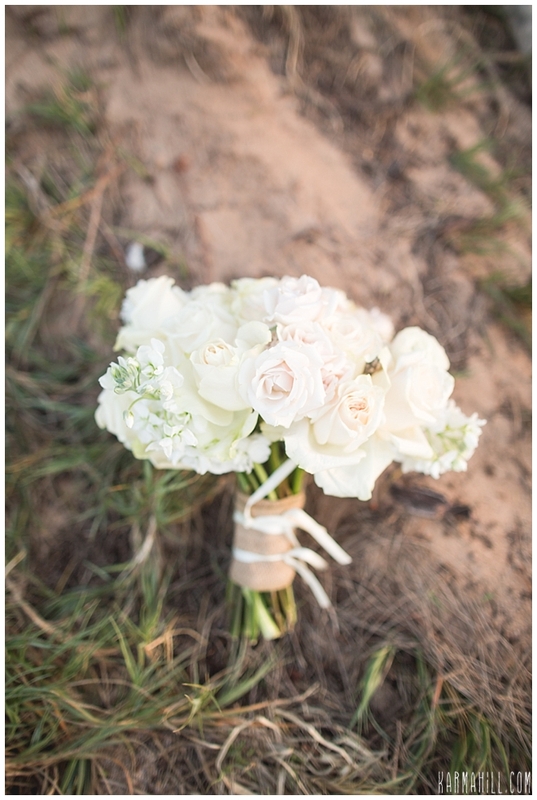 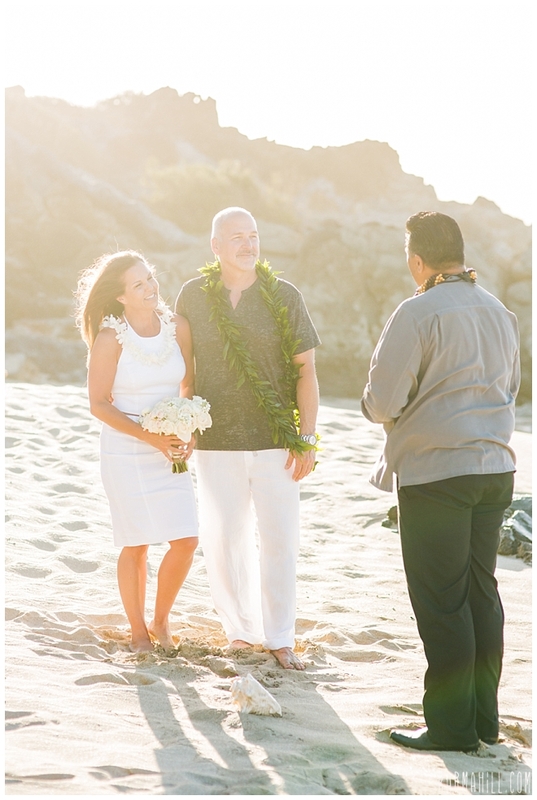 Michelle & Jerry were married by Reverend Valentine Rosete and staff photographer Ajja snapped all the gorgeous shots! 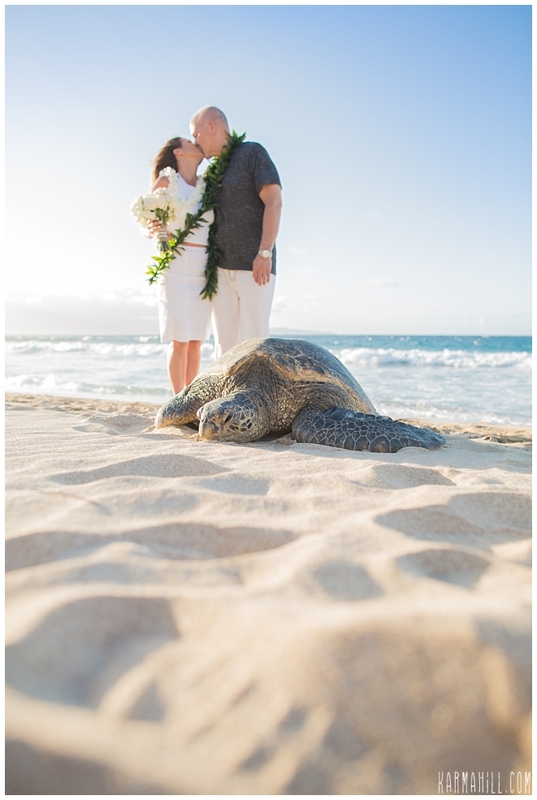 They were even blessed with a very special guest, a beautiful honu sunbathing on the shore. 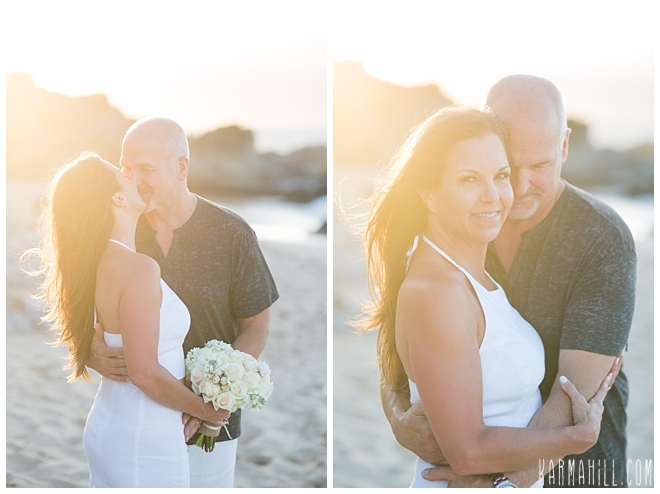 What a fabulous evening it was! 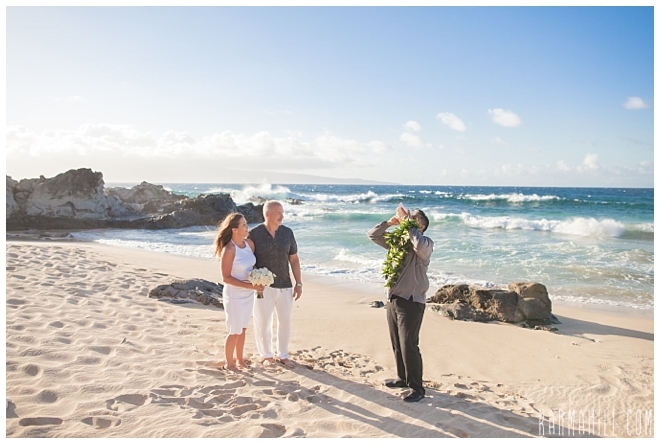 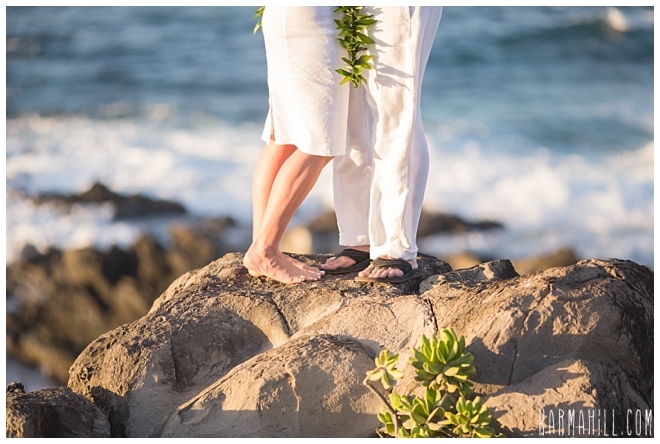 Mahalo Michelle & Jerry for choosing us to be a part of your Maui elopement! 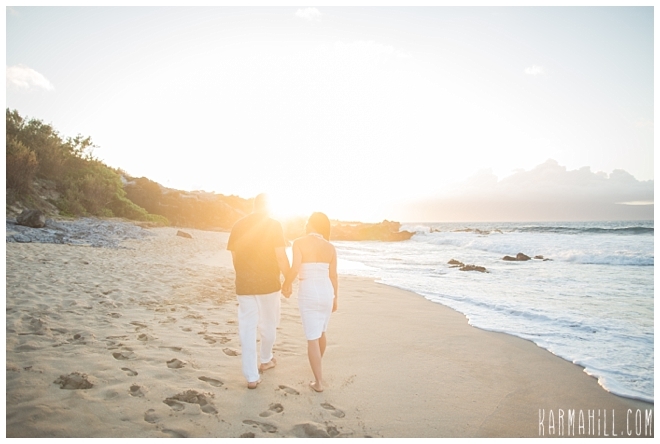 We hope you two had a great time in Maui and hope to see you again soon! 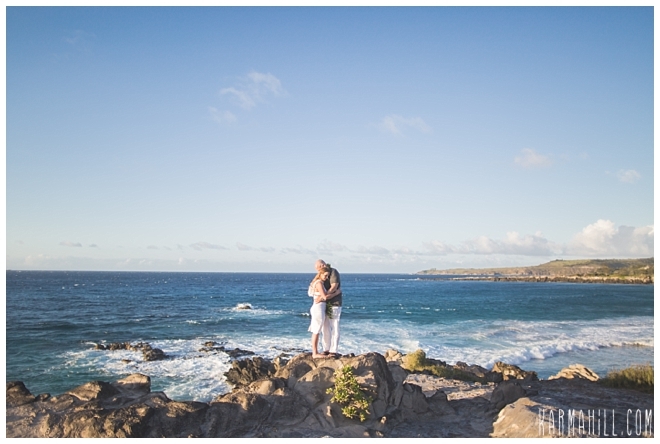 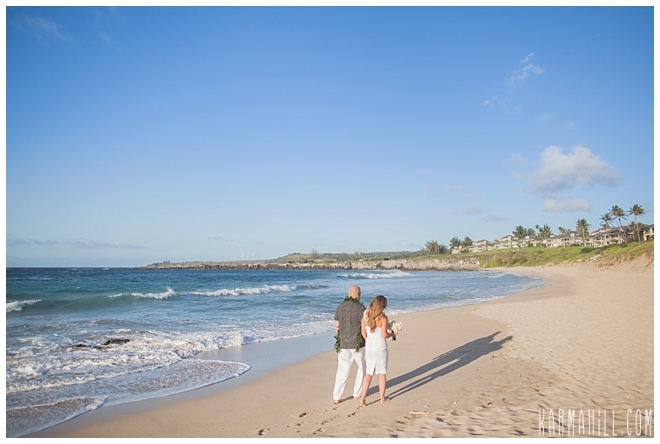 Check out our last Maui elopement with Christine & Thomas!